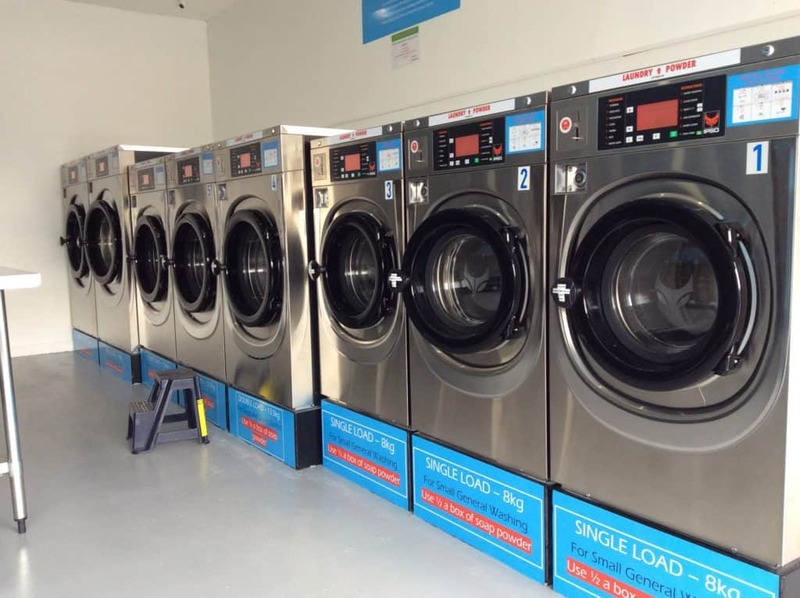 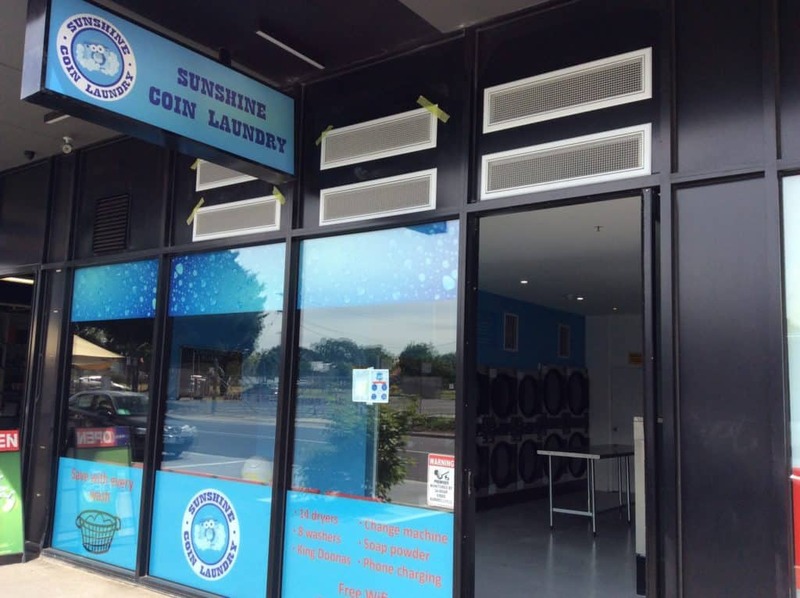 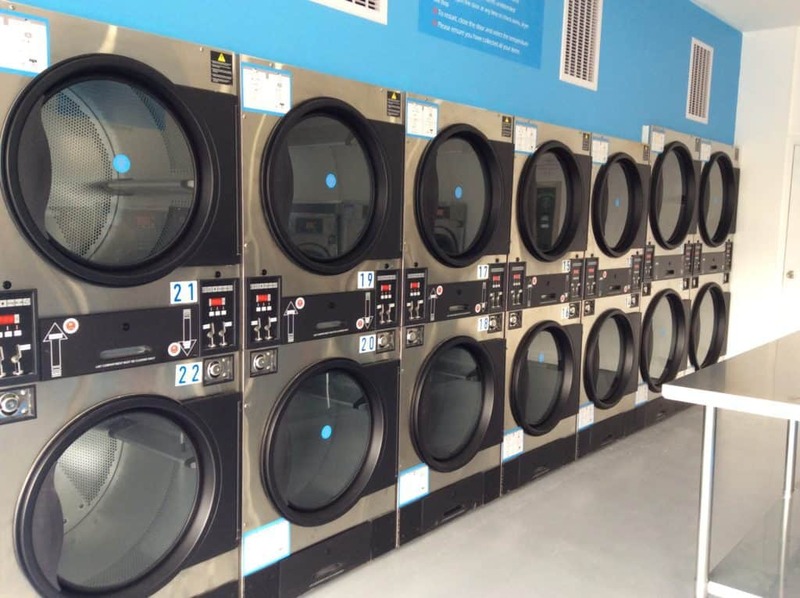 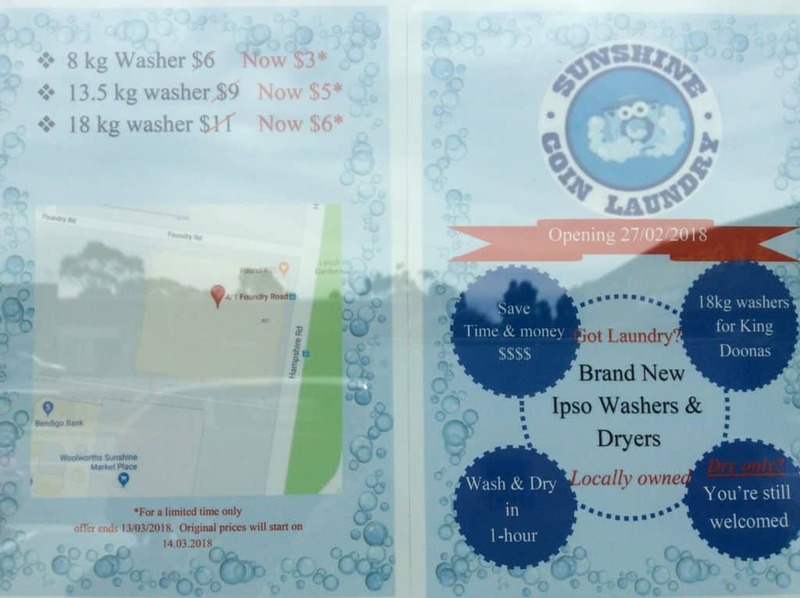 Large laundry facility with 8 small, medium & large washing machines along with 14 mediun & large dryers. 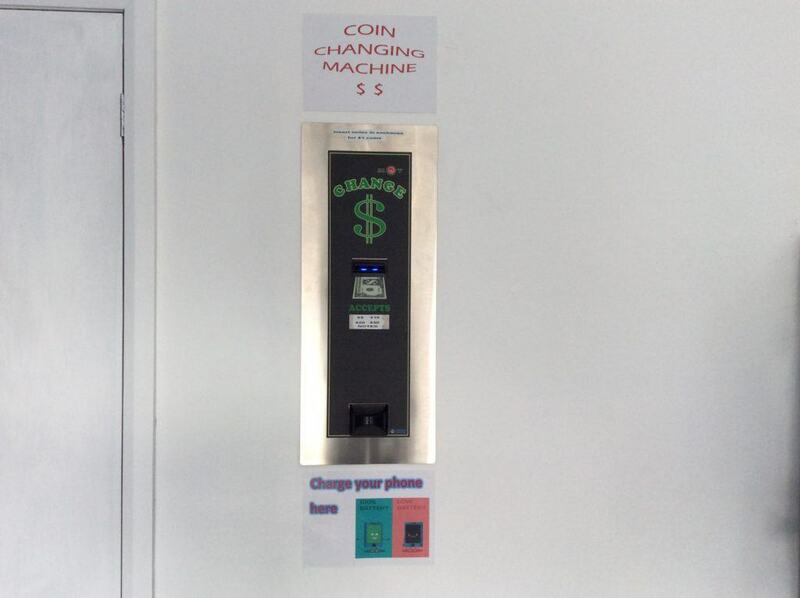 Free wifi and free phone charging station. 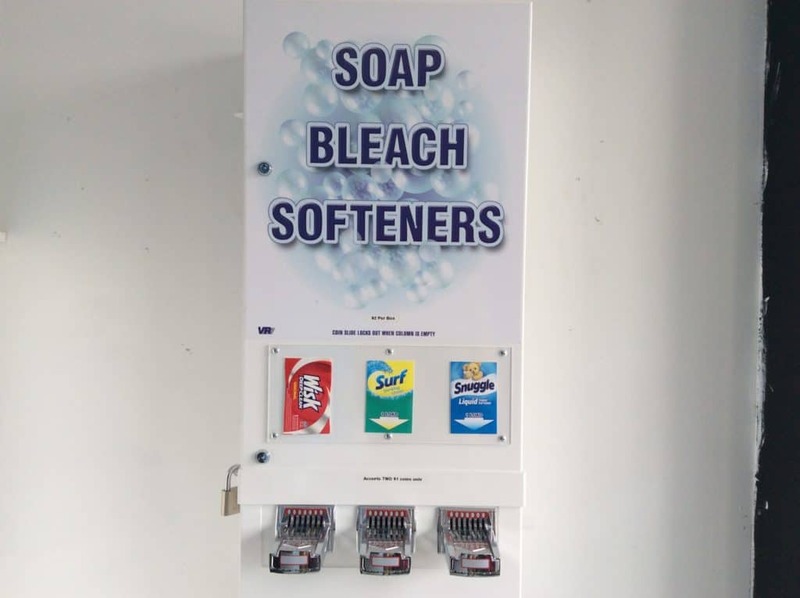 Detergent machines and coin change machine.